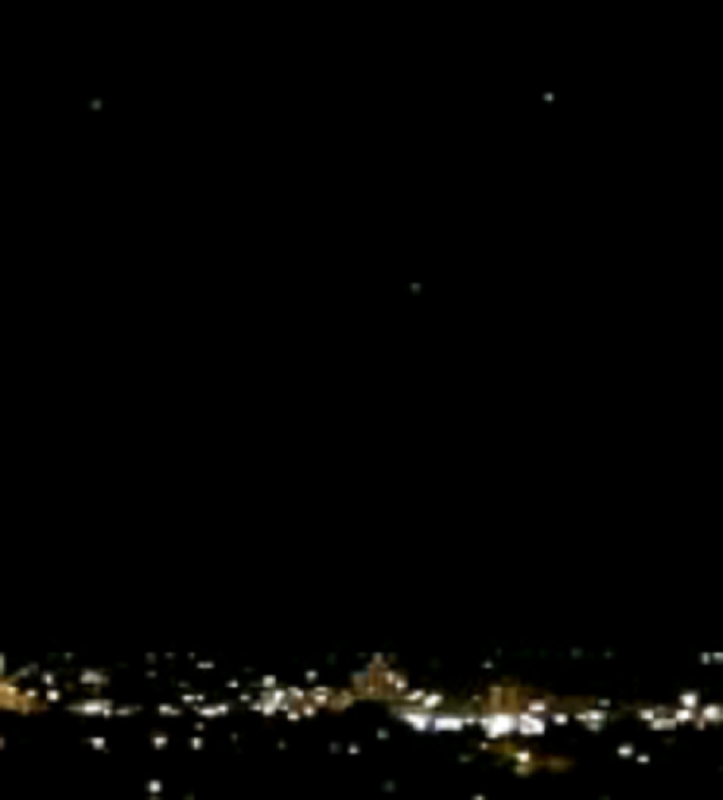 Latest UFO sightings – Strange UFO activity – triangle shaped formation, was recorded in the night sky over Brandon in Manitoba, Canada. This footage was filmed on Thursday, 2nd September 2010 around 10:30 pm. Witness report: Had my first UFO sighting last week, pretty incredible experience. In the video that was taken there appears to be 3 lights although I saw two lights fly directly over my head, maybe 500-1000ft off the ground. Were these Chinese lanterns? I don’t believe so, nor do other witnesses. I believe it’s Venus that appears at 1:24 on the right hand side of the vid. I believe this one to be real. Several times you see other lights in the frame phase in and out.